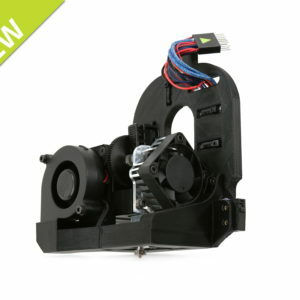 This tool head is a drop in replacement for the LulzBot TAZ 6 only. 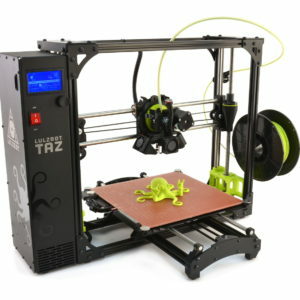 Earlier LulzBot TAZ® versions are not yet supported. 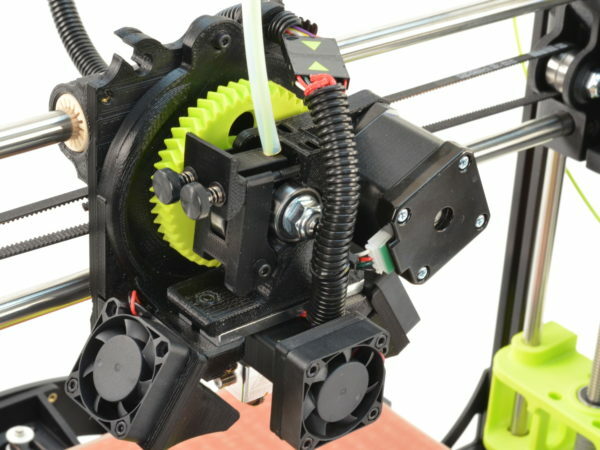 The LulzBot TAZ Single Extruder Tool Head v2.1 is now even cooler! 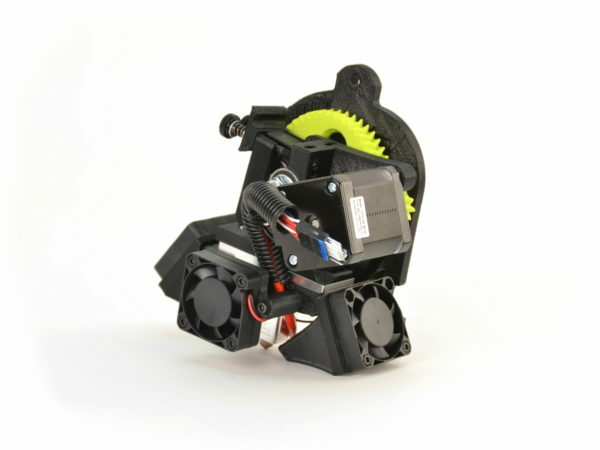 Updates include a redesigned extruder body, fan ducts, and an additional print cooling fan to help ensure clean and crisp 3D printed objects. 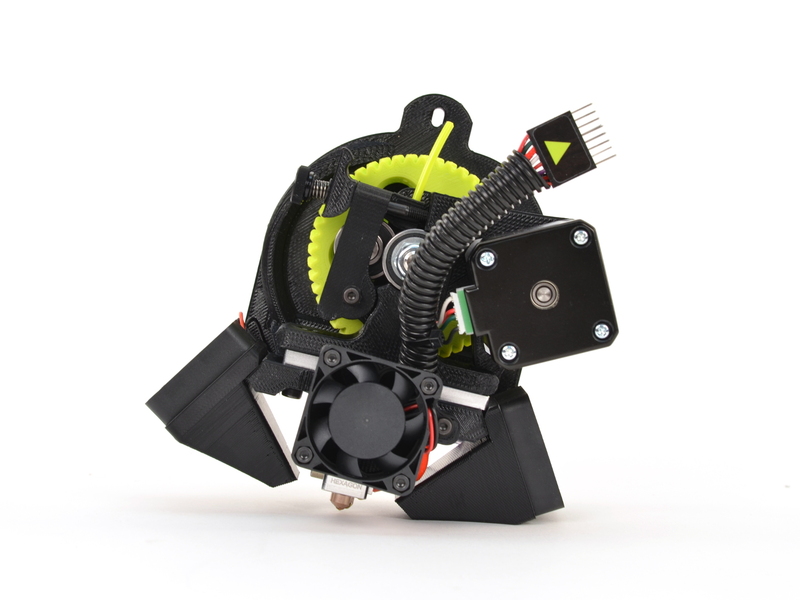 A larger dedicated heat sink fan helps keep your hot end cool for reliable, long-term 3D printing. This tool head is a drop in replacement for the LulzBot TAZ 6 only. Earlier LulzBot TAZ® versions are not yet supported. The LulzBot TAZ Single Extruder Tool Head v2.1 is now even cooler! 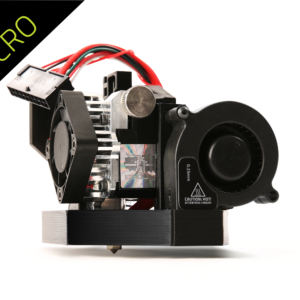 Updates include a redesigned extruder body, fan ducts, and an additional print cooling fan to help ensure clean and crisp 3D printed objects. 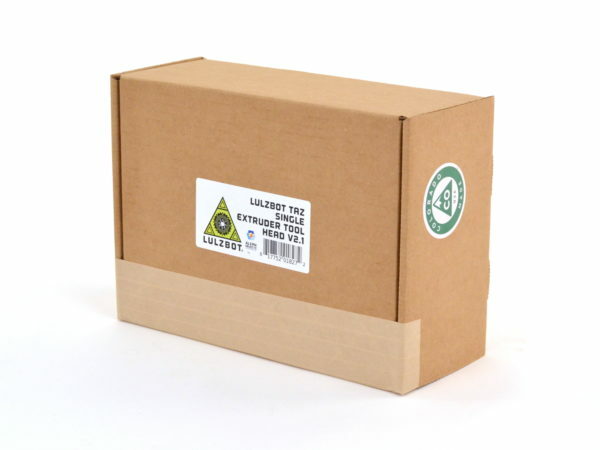 A larger dedicated heat sink fan helps keep your hot end cool for reliable, long-term 3D printing.Like all LulzBot tool heads, this uses an open (non-proprietary) filament format, which means you can stay on the cutting edge of the 3D printing industry and adopt new materials as they become available. 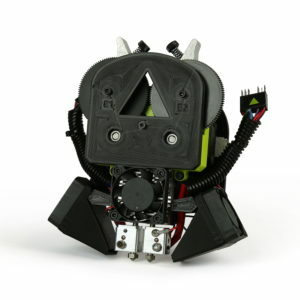 The LulzBot TAZ Single Extruder Tool Head v2.1 is capable of heating up to to 300°C (572°F) to 3D print with standard filaments like HIPS, PLA, and ABS, as well as advanced filaments including heavy-duty nylons, strong polyester blends, polycarbonate, and even aesthetic varieties of wood, stone, and metallic filaments.